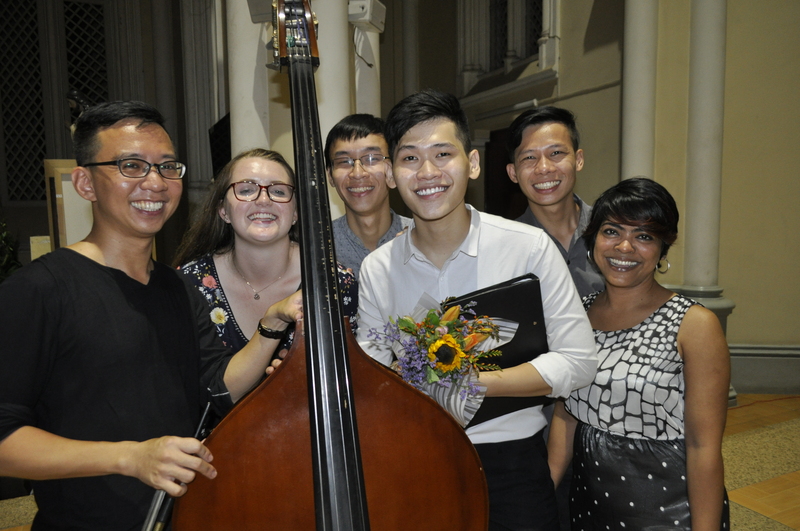 On Friday 2nd and Saturday 3rd December the International Choir & Orchestra of Ho Chi Minh City performed their annual Christmas Concert at St Paul’s Convent Chapel in District 1. Both concerts drew great support from both the local and expat communities leaving only a few spaces for people to stand on the Saturday night. The ICOHCMC was raising money for the Loreto Children’s Charity and run a silent auction again to raise money for their special cause. “When I think back to the concert there were so many special moments. Two that stand out for me include the premiere of a composition written by our Assistant Choir Director, Mr Gregory Notebaert called “Love Came Down at Christmas”. This piece was for both Choir and Orchestra and was set to a poem by Christina Rossetti. The second particular high point for me was the final piece where I asked our congregation to join in with Hark the Herald Angels Sing. This was the first time ICOHCMC has included a piece for the audience members to join in with and the combined sounds truly lifted roof off this magnificent venue”.